Investors prefer to run background check on startup founders before investing. It is said that 62% of the investors have approached background verification agencies in the past one year to launch a personal due diligence on Startup Founders of companies in which they were about to invest, when such screening processes were carried out red flags were raised in number of agreements. 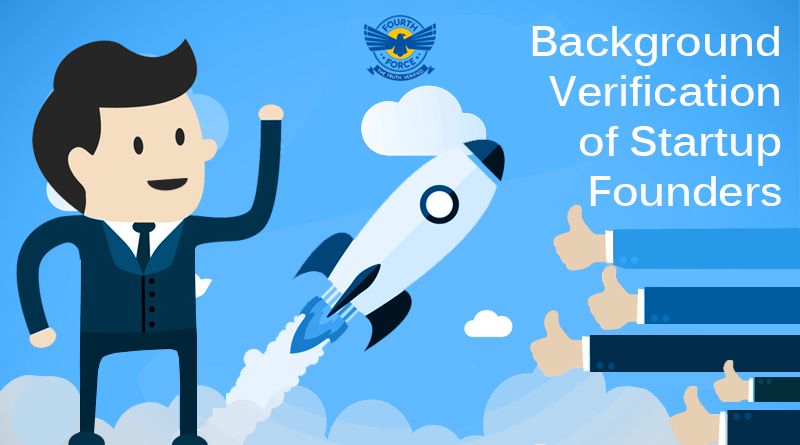 Fourth force works closely with professionals and social acquaintances of the Startup founders for a crucial check, these checks are now extended beyond the antecedents of promoters. Gauging a qualitative risk is becoming much more important. Fourth Force has detected cases where investors withdrew investment due to promoters exhibiting certain behavioural concerns at the senior management level. This can potentially impact employee morale as well as the dynamics within the company, eventually affecting the business going forward and it’s quite detrimental to the company. Investors are also checking if the founders are promiscuous as well. Certain characteristics of a promoters’ personal life may have an impact on the business in which case funds may ask us to focus on that as part of the due diligence process. One of the main pretexts why entrepreneurs seek capital from outside sources is to recruit skilled people to take over multitude responsibilities of the company. However, some entrepreneurs can be extremely controlling over every aspect of their business, making it extremely difficult for employees and investors to work in a balanced, harmonious atmosphere. Investors in general tend to avoid investing in companies with aggressive, controlling entrepreneurs. Investors are little hesitant to invest in companies that only offer one product or service which targets only one market. If a product that is introduced into the market fails, then the whole company will not succeed. To ensure sales, a company should have some diversification of goods and services to be successful, so investors usually go for the screening process to check on whether the entrepreneur who is looking for an investment owns any other business, has he failed in his previous business, check his potentialities, to confirm the authenticity of his business endeavour and so on. In the due diligence process investors will conduct a comprehensive background check on a company’s founders, management team, and board members to establish the credibility of their prospective investments and to find any business-related misdemeanor. Start-up founders should be familiar with all possible findings and set things right in order to successfully raise the needed capital for their start-ups.